Cartoon Network, Warner Bros. Animation and DC Entertainment are teaming up to present DC Nation, a full hour of exclusive kids’ television programming and shorts based on DC Comics characters. 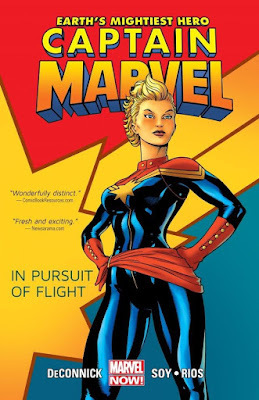 Full of action and humor, DC Nation brings some of the most beloved and legendary heroes — as well as some lesser-known cult favorites — from the pages of DC Comics to the screens of a whole new generation of fans. Anchored by Green Lantern: The Animated Series and Young Justice, DC Nation will premiere Saturday, March 3, at 10 a.m. (ET, PT). Green Lantern: The Animated Series debuted in November 2011 on Cartoon Network as a special one-hour movie event and was greeted with much critical acclaim: Variety lauded the “beautifully rendered” series for its “bold, sleek design.” Now fans can experience the series again from the very beginning. With stunning, stylized CG animation, Green Lantern: The Animated Series takes viewers on a journey of cosmic proportions as Hal Jordan and his band of heroes fight to save the universe. 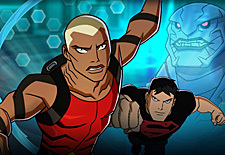 The second half hour of DC Nation will be comprised of new episodes of Young Justice, a series which Entertainment Weekly called a “super-ior cartoon” with “a good dose of super-hero action.” The series continues with more adventures for Robin, Aqualad, Kid Flash, Superboy, Miss Martian and Artemis as they continue to try to prove themselves as superheroes while dealing with all the pitfalls of being teenagers. Rounding out this branded block of original programming will be a number of shorts featuring DC Comics super heroes and characters as you have never seen them before. With fresh designs and concepts, fan favorites such as Plastic Man and Doom Patrol will finally take center stage next to the likes of Wonder Woman and Teen Titans. Bringing them to life will be the result of a collaboration with some of the top talents in the animation industry, which include award-winning Aardman Studios (Arthur Christmas, Wallace and Gromit) with its stop-motion clay animation techniques, and the unique direction and character designs of Lauren Faust (The Powerpuff Girls, My Little Pony: Friendship Is Magic). In addition to these shorts, DC Nation will also feature event programming, interstitials, exclusive behind-the-scenes looks at theatrical motion pictures and an insider look into the world of all things DC Comics.